WASHINGTON, D.C. -- Mike Pompeo took over from Rex Tillerson as U.S. secretary of state in late April, and Gallup's first measure of Pompeo finds Americans holding mixed views. Slightly more than a third, 35%, view Pompeo favorably, 38% view him unfavorably and 27% have no opinion. These views of Pompeo are broadly the same as Americans' views of Tillerson measured in February 2017. Republicans have held largely positive views of both Pompeo and Tillerson; independents' views are more mixed; and Democrats have held negative views of both. 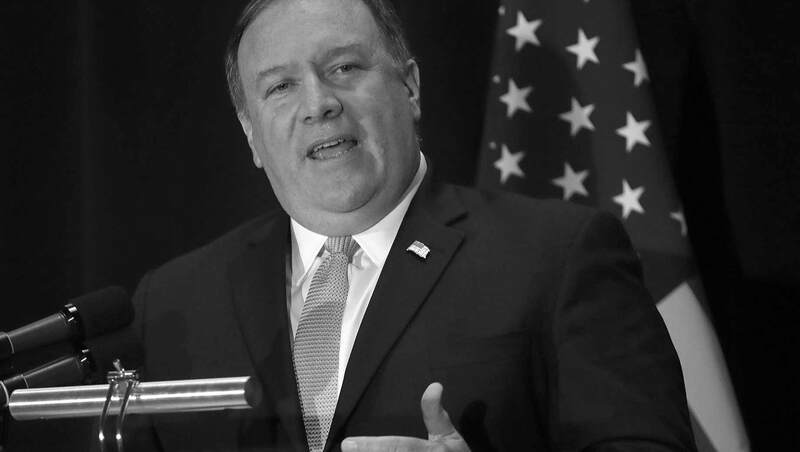 Gallup asked Americans about Pompeo in a survey conducted from Aug. 1-12, as the U.S. faced increasing uncertainty in foreign relations on several fronts, including reports that North Korea is failing to live up to commitments on denuclearization and an escalating trade war with China. Pompeo and Tillerson rated less favorably than other recent secretaries of state. Other secretaries of state have received substantially higher favorability ratings when Gallup first assessed them in that role (although many, including John Kerry, Hillary Clinton and Colin Powell had been prominent public figures before becoming secretary of state). While majorities viewed Powell, Condoleezza Rice and Clinton favorably, Powell's 85% favorability is the highest initial reading among all secretaries of state. In fact, Powell, the Persian Gulf War hero, registered some of the highest favorability ratings in Gallup history. Pompeo less favorable among Republicans than Tillerson. Pompeo's favorable rating among Republicans is also substantially lower than the initial ratings of the other two recent secretaries of state under Republican administrations, Rice and Powell. Secretaries of state are typically rated substantially lower by members of the opposing political party, and Pompeo is no exception. Fifteen percent of Democrats rate Pompeo favorably -- the same as Tillerson's rating. This is also lower than Republicans' initial favorability ratings for recent Democratic secretaries of state, Kerry and Clinton. These highly differentiated partisan views of Pompeo (and Tillerson) reflect today's generally more polarized political environment in which the gap between Republicans' and Democrats' views of the president is the highest in Gallup polling history. Results for this Gallup poll are based on telephone interviews conducted Aug. 1-12, 2018, with a random sample of 1,024 adults, aged 18 and older, living in all 50 U.S. states and the District of Columbia. For results based on the total sample of national adults, the margin of sampling error is ±4 percentage points at the 95% confidence level. All reported margins of sampling error include computed design effects for weighting. Repeating a 1965 question, Gallup finds 36% of Americans, including 60% of liberals, saying they have ever felt the urge to organize or join a protest. By 58% to 36%, Americans say it is more important that the U.S. continue efforts to improve relations with Russia rather than take strong diplomatic and economic steps against it.